AWESOME costume!!! Lucky for you no dog thought he was a fire hydrant with that hat. yeaoaiowww. Matt made the costume. I was afraid P would spend the whole time trying to rip the beard off, but he didn't seem to notice it too much. 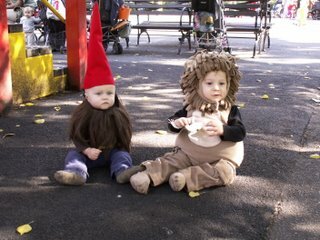 Maybe it was all the other costumed kids, he got distracted... Too bad you can't see the little gnome belt with the big buckle Matt made, it's hidden under the beard. Jamie - do share pictures, that sounds too cute! i laughed aloud when i saw this picture. i think it's the look on pr's face. what a stoic. great job on the costume big papa. miss youse. that is awsome! just awsome! 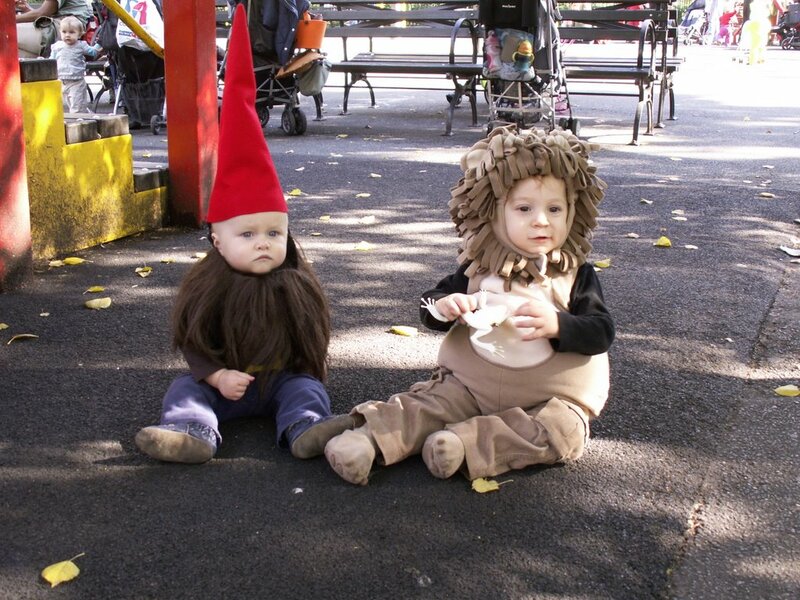 of course it would be a gnome! matt was definitely the author of that costume. he's perfect! even to the grouchy face. Q: What's cooler than a Rock City gnome in Chattanooga? 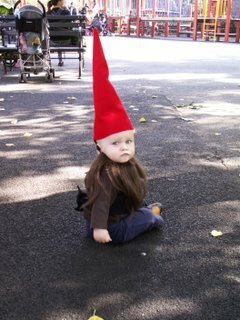 A: A Rock City gnome in NYC. SO Funny to see a Rock City gnome in the Big Apple... I guess you can't take the Chattyvegas out of you guys no matter how far you go! Seriously, Matt? You made the costume? Incredibly impressive and even more incredibly cute... well done! I agree, the look on his face is priceless- laughed out loud... miss that dude. AND mom and dad, of course.